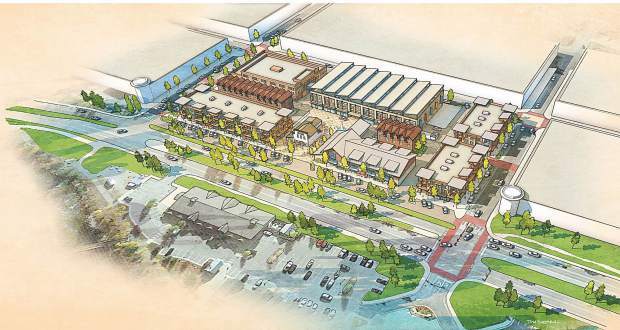 A concept rendering of the Fourth Street Crossing area in Silverthorne. The town of Silverthorne selected Milender White as the developer on Wednesday for the new Fourth Street Crossing redevelopment. The project aims to revitalize the 3.8 acres of land between Third and Fourth Streets off of Blue River Parkway. The town issued a request for proposals for the project in January. Applicants went through a panel interview made up of 13 town staff and council members, as well as the area’s landowners. Milender White and the town are set to start on planning and community outreach next month. Initial concept plans and a video walkthrough can be found on the town’s website at Silverthorne.org/#News. The current design has a plaza surrounding The Historic Mint restaurant.